The top menu contains all the commands available in Control Center. You can also find the commands in the contextual menus available in each area by right-clicking. The Environments area shows one of your projects such as a feature film, a TV series or a group of TV spots. 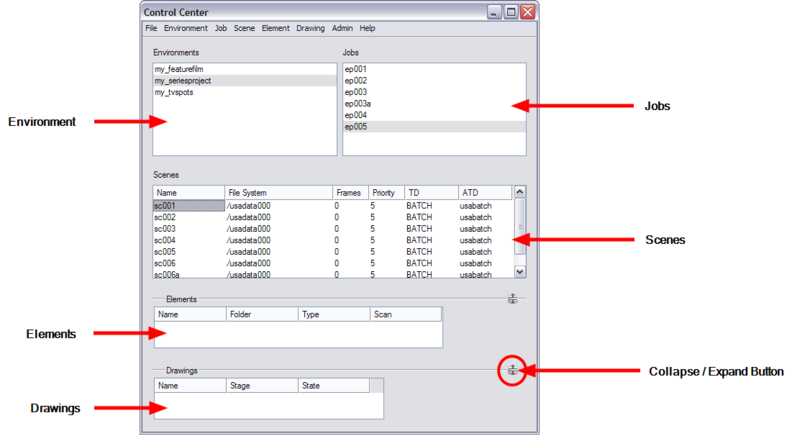 The Jobs area shows the sequences or episodes in your project (Environment). You can only see your jobs once you select a project in your Environments list. 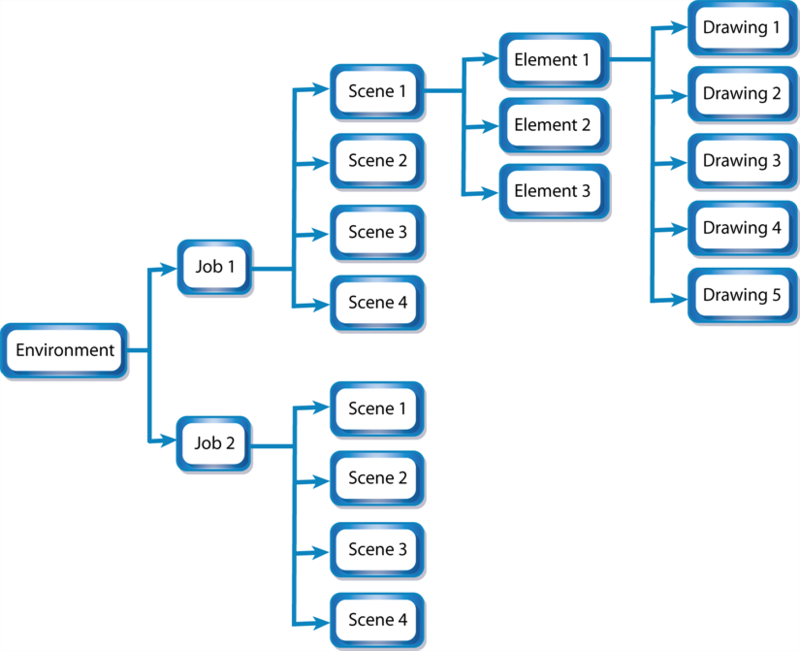 The Scenes area shows the scenes in your episode or sequence (Job). You can only see your scenes once you select a job in your Jobs list. The Elements area shows the layers or columns in your scene. You can only see your elements once you select a scene in your Scenes list. The Drawings area shows the drawings in your layer or column (Element). You can only see your drawings once you select an element in your Elements list.